This is our patient DeeAnn Driver along with Robin and Mario. She brought a huge quilt in for our coat and blanket drive. We love our patients! They are the best! GIVE WITH US!! 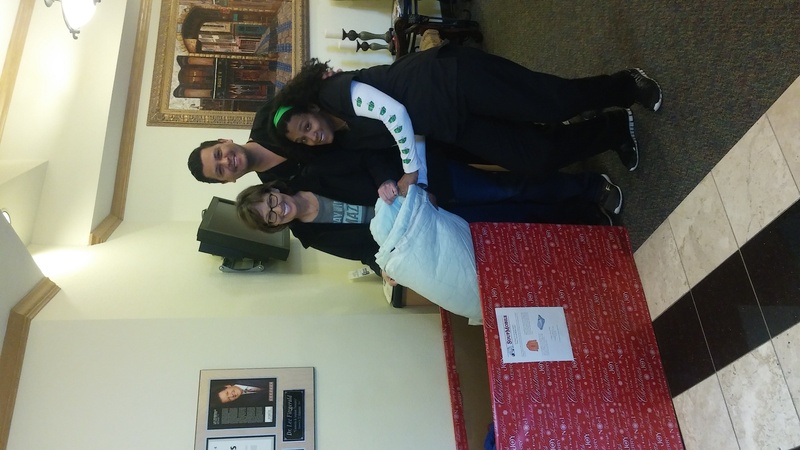 Drop off a coat and/or blanket by the office anytime during regular office hours!